It has come to our attntion that the bkrod website was awarded a 2014 Silver Level Addy award. We have had nothing but praise since the launch of our new website in 2013, and we would like to that the entire team over at Brickhouse Creative located iin Bozeman, MT. for all their dedication bringing our ideas to fruition. The company line: "If you enjoy the feel of a classic fly rod, with the smooth, easy casting capability combined with the technical advances of the day, our Full Flex rods are going to feel great in your hand. Although this family makes a great beginner's rod, these rods are really designed for those who simply prefer a slower action -- and they are the perfect fit for smaller streams and ponds. Enter nascent fly rod manufacturer Beaverkill and its 7’6” Legacy Series Full-flex 3 weight. After spending time fishing Beaverkill's offering on my favorite east Tennessee small stream, I've come to the conclusion that they've successfully executed the difficult task of delivering a small rod with excellent performance. I’m not an expert caster, but at 20-35 feet from the target, this rod made me feel like I was casting well above my grade. The rod maintained ample power in the lower third, which kept it from feeling like a complete noodle, unlike other rods of all prices in its class. It has a super-sensitive tip section, which is essential for short casts in over-hung environments where space is scarce and accuracy a premium. Every once in a great while I like to deviate from fly tying related posts to emphasize fly fishing in general, which is why we tie flies in the first place. After all, things like fly rods are what send our labor of love flying through air landing on top or under the water to try and catch that next fish. I’ve had the pleasure of chatting with the President of Beaverkill Rod Company, Anthony Magardino through email for some time now. He is a class act and I hope to get my hands on a new Beaverkill Fly Rod next spring sometime. ROD REPORT: The inventory-a Beaverkill Rod fast action 10-weight with RIO intermediate 10 weight fly line. Last February we interviewed Anthony J. Magardino, owner and president of Beaverkill Rods. Magardino bought BKR out its mothball state just over a year ago from former owner and talented rod maker, Steven Forrer. Forrer and his team of experienced rod designers produced superior “American Made” graphite rods – starting back in 2001. Knowledgeable and skilled anglers scooped up the Beaverkill rods, but the company’s reach was limited by it’s marketing and by finances so sales were mainly regional. One of those skilled anglers that got hold of a Beaverkill was Anthony J. Magardino who bought a 7-foot, 6-inch 3-weight and loved it. ROD REPORT: Monday Gear Review: Beaverkill Rod’s Legacy # 9... Approved!! Imagine this: a rod company that carefully builds handcrafted premium graphite fly rods here in the United States but sells them for 1/3 less than their competitors whose massive advertising and marketing campaigns bulk up price tags and help sell their t-shirts and other logo’d merch. 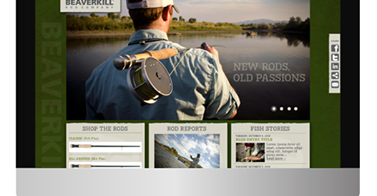 Beaverkill Rods were the mastermind of Steven Forrer and his team of experienced rod designers. They began producing superior “American Made” graphite rods in 2001. Knowledgeable and skilled anglers scooped up the Beaverkill rods, but the company’s reach was limited by it’s marketing and finances. One of those skilled anglers that got hold of a Beaverkill was Anthony J. Magardino who bought a 7-foot, 6-inch 3-weight. Soon he began using his Beaverkill 3-weight as a matter of preference over and above his “collection” of similar weight rods. Fast forward; when the wheels fell off and the economy in 2007 so to went the fortunes of many small companies without deep pockets. One such mothballed company was Mr. Forrer’s Beaverkill Rods of Brinkow, Maryland. NOTE: The Beaverkill River is world famous and the Catskills of New York are considered to be birthplace of American fly fishing. Anthony J. Magardino is in his early 40s. He and his family spent their summers about an hour away from the heart of the Catskills fly fishing Mecca, Roscoe, New York. One day, a WWII veteran showed a struggling 13 year old Anthony how to properly cast a fly. Later, others would teach him more tips & tactics, and it was game on from there on. Soon he was tying his own flies and became immersed in the lore of fly fishing. For the last 30 years or so he has served on the board of the famous Catskill Fly Fishing Museum and has met many devoted anglers, joined many fly New York area fishing clubs and actively and financially supports veterans and active military personnel. It's time to make my annual predictions for the fly fishing world in the coming year. But first, let's look back on last year's fishing predictions, and see how I did. First, I said the Rockies would have a terrible water year. That was surely the case in the southern Rockies, though the northern Rockies did a bit better. 2012 was not only an extremely dry year, it had one of the worst wildfire seasons ever. I wish I had been wrong on that one. I said three major manufacturers would start selling direct. Simms and Thomas & Thomas did. A few other, smaller companies did as well. Admittedly, that wasn't a wild prophecy, as those rumblings had been going on for months. I said carp competitions would take off, and they did. From California to Denver to Montana and points east, carp tournaments attracted more anglers and raised more money for good causes than ever before. I predicted that a U.S. manufacturer would break $1,000 for a graphite production rod, and we now have the Sage One Elite ($1,295). Rods $200 or less would comprise the bulk of domestic sales in 2012. I don't have the data yet, but my friends in the industry say that's true. And more pricepoint products would be made in the United States—there are indeed some upstart companies making rods in America, like the Beaverkill Rod Company. ROD REPORT: Beavekill 7wt. MidCurrent Review... Thumbs Up!! 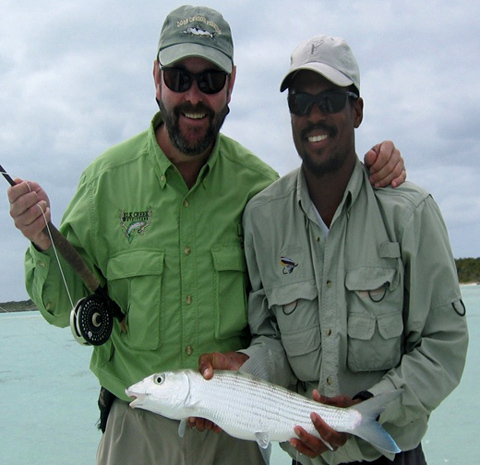 Fly fishing, like many other sports, is chock full of conventions which are rarely questioned. Anything from a 9-foot 5-weight being the most recommended rod on the planet to the reluctance to cast (or sell) any leader that’s not 7’6” or 9’. Like all truisms, some are in place for a reason, but others can stifle creativity and slow progress. Enter Anthony Magardino. Magardino is not a former guide, is not a former shop rat, and is not on any pro staffs. 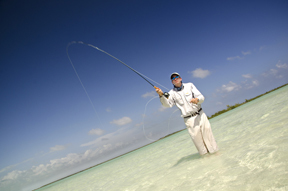 In fact, he’s relatively unknown in the world of fly fishing. He is, however, a fly fishing foot soldier—a veteran of the sport who has fished his local waters for many years. He also is a successful businessman. The combination of the two, and some fortuitous timing, led Magardino to buy Beaverkill Rods. We anglers love our gear. We fly fishers, especially so. The flies have personality. The reels are precisely machined instruments. The nets, the gadgets, the waders - we sometimes grumble about all the stuff our sport requires, but we're fooling no one; we love it all. Most of us have heard of the Beaverkill River, but have you ever heard of Beaverkill Fly Rods? I didn’t think so… I hadn’t either, but if Anthony Magardino has his way you’re gonna start seeing a whole lot more of them on the river and in fly shops across the country. 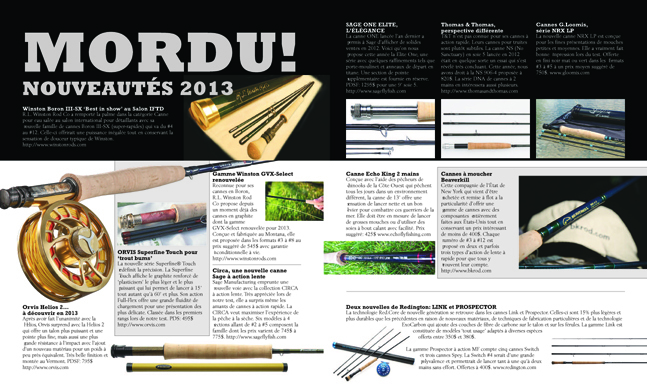 The brand has recently been recently been resurrected by Mr. Magardino, with an impressive offering of 3-weight to 12-weight rods that are all made in the USA with completely U.S.-made components and will retail for prices under $400. Anthony Magardino grew up in Scarsdale, Westchester County, and had the good fortune to spend his summers an hour and a half away in Roscoe, along a certain trout stream that’s been written about quite a bit over the years. There were anglers in his family, but no fly fishers. There were fly fishers on the Beaverkill, however, and they acknowledged Magardino and his brothers, watching with interest from the bank. One angler in particular, a World War II veteran, took the trouble to hand Magardino a rod and teach him what to do with it. “It was something I learned, and was given the opportunity to become proficient at it, from complete strangers,” recalled Magardino, 41, who today finds himself the owner of the Beaverkill Rod Co.
Claryville, New York (September 5, 2012) – The Hope for Heroes Foundation and three disabled soldiers attended a Fly Fishing Event at the Wintoon Club sponsored by Beaver Kill Rods. Wounded Hero Soldiers Lieutenant Colonel Avery Leider, Major Xiaolian Tan and Sergeant Justin Miller arrived at the Wintoon club in the afternoon of September 5th 2012. All were eager to get right to fishing.